This entry was posted in Civilizations unraveling, Climate unraveling, Cloudburst storms with flashflooding, Deluge from torrential rains, Earth Changes, Earth Watch, Erratic Jet Stream, Extreme Weather Event, Flooding, High-risk potential hazard zone, Infrastructure collapse, Record rainfall, Time - Event Acceleration. Bookmark the permalink. Hi Alvin, this is where I live. It’s unbeleivable, change has begun. Please stay safe, CanadianBlain and thanks for the first-hand account. No doubt, the pace of events appears to be accelerating across the globe. I hope beautiful Edmonton is not having the same flood problems like Calgary !! Yes do stay safe Canadian Blair. 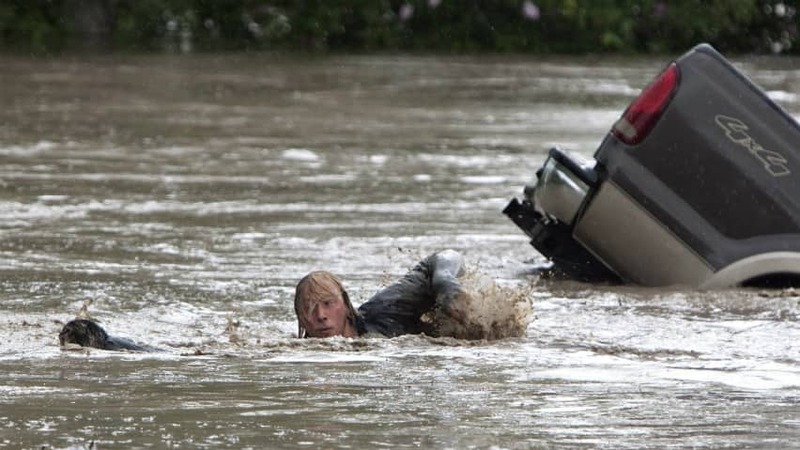 I found a link Alvin in the Calgary sun newspaper it has some amazing photo’s of just how bad this flood is. Thanks for the submission and link, Superflyrussells. I, and the readers, appreciate it. In the last one week, we had several flood disasters, in Uttarakhand India, Indonesia, Lourdes France, Alberta Canada. The death toll in India is rising and is expected to go more than 10000. Please Please Please underline that environment and natural catastrophes is no more a local problem it is global problem, aggravated by globalization that needs to be understood from deeper levels deduced to energy and matter ratio and earth’s struggle to maintain certain equilibrium. @John Paily, who said “From the days of industrial era we have been exponentially increasing the heat of the environment.” Where is the evidence for that statement? Yes, humans have polluted the planet but not warmed it. That is a fallacy. The entire solar system is undergoing change. This is not a human-caused change. LOOK ON GOOGLE EARTH. Type ” Calgary, Alberta” in, the zoom in a little. The Residents and their town, are on both the North side and South side of a wide river, which flows through the area from West to East. The west part of the River flows from the “Columbia Mountains”. IT HAS BEEN the longest WINTER on Record, ever known. Endless snow storms and snowing in the mountains, which has caused MORE SNOW BUILD UP then ever recorded, WHICH in return has caused MORE FLOODING as the snow melts with the natural JUNE warming. HELLO. They should have saw this coming. Pretty soon you people will start to understand and believe in weather GeoEngineering check it out on the internet you are being lied to re global warming!! Where is all of that flood water headed? To the rivers in the USA! Hi Alvin, thanks for all you are doing. I live in Calgary. This is not from snow melting but from a large rain event in Calgary and an even larger rain event in the foothills / mountains to the West, which is where all the streams and rivers are sourced from. In addition to Calgary, several small towns to the South have been evacuated as well. You’re so welcome. Great to hear from you and thanks for the first-hand account of what’s transpiring. Stay safe. And it will be like in the day of Noah…and then the end shall come.. The rain finally stopped, but many surrounding towns got hit harder than Calgary. A few billion in Damages. We never had any flood dykes built, and rich people decided to build their houses on the lakefronts. Those are the ones that got the most screwed from the Situation. But the Army of 1200 troops from Strats, the Combat Engineers, and the PPCLI have moved in to assist. Everyone is opening up their homes to the needy. a city of 1.2 million, you know at least 1 or 2 people effected by this. This is the year of the snake (Chinese) and portends problems with water, as evidenced by all the flooding.